National Congressional lawmakers thought they were to have a fun and relaxing softball game near Washington when a would-be assassin attempted his evil plan. It nearly worked. 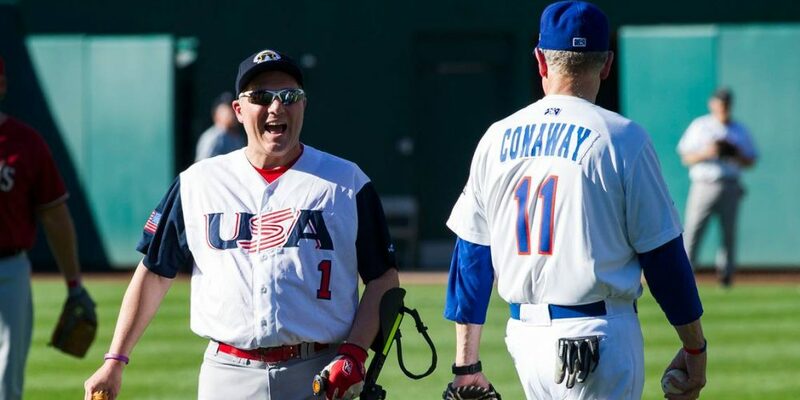 Congressman Steve Scalise, doing the pitching at the game, was nearly killed. Those defending these elected national leaders were even more successful. They shot the would-be murderer. Businessman Gary Tedrick founded the “Congressional Prayer Breakfast” 21 years ago. Encouraged by then Madison County (Illinois) official John Shimkus – they were both attending the St. Louis “Mayor’s Prayer Breakfast” – they agreed that they needed something like this on the Illinois “East Side.” And, sure enough, when Shimkus was elected to Congress from Southern Illinois, Gary put his commitment into action. Now for 21 years, Gary has provided leadership (assisted by many) to this annual breakfast held in the Collinsville Convention Center (15-minutes east of the St. Louis Arch). Attended by hundreds and always the Monday before the “National Day of Prayer” (which is the first Thursday in May). This year the Prayer Breakfast is Monday, April 29, 2019, 7:00 – 9:00 in the Collinsville (Illinois) Convention Center. The three Congressman, representing the three districts on St. Louis’ “East Side,” invite us. Tickets may be obtained by calling 618 463-6850. In this brief radio conversation about this Steve Scalise story … I trust of the Spirit … came to my mind. In the Old Testament story of Joseph toward the end of Genesis. Joseph’s brothers were jealous of him and angry, so they nearly murdered him. Then saw a money-making opportunity, they sold him into Egyptian slavery. His eventual owner was an Egyptian high official named Potipher. When Joseph was doing his duties – sometimes alone with Potiphar’s wife – she tried to seduce Joseph, but he refused. She accused him of attempting do what he refused to do. Then it was off to prison for what he did not do. During this series of events in this dramatic story – which covered several years – we see God, miraculously, bring Joseph second into leadership in all Egypt. A famine in the region brought Joseph and his brothers together again, but his brothers did not recognize him. When Joseph, in private, revealed to them that he was their brother, they appeared to have near “heart failure” as they remembered what they had done to him. Now, because of his near murder, millions will hear of the power of God at work in his life, many more than if it had not happened. People will hear how their lives can be impacted for the good by the saving and life-changing power of God. 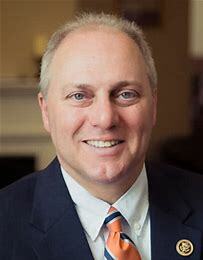 Congressman Scalise’s words, life, and his new book (BACK IN THE GAME) that tells the story of Jesus Christ and His mighty power to save anyone who will call on Him, will inspire and encourage those in attendance!